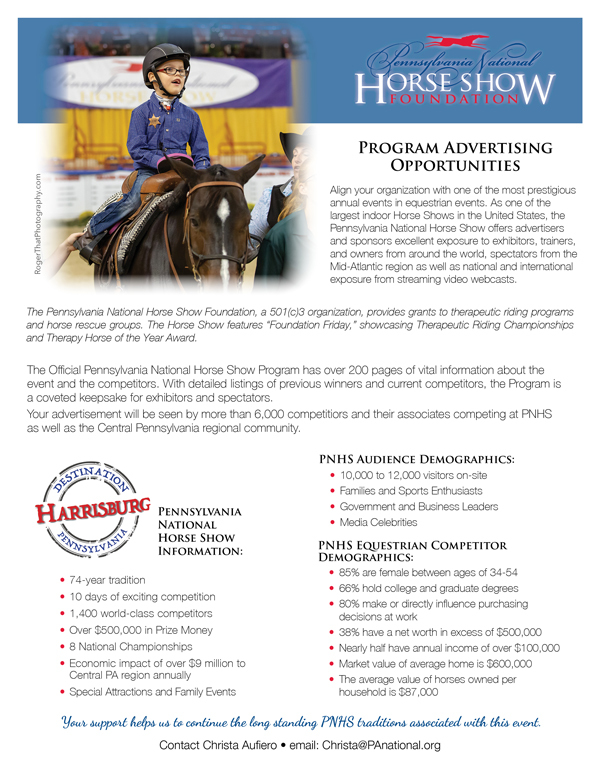 October 10 – 19, 2019 will mark the 74th celebration of the Pennsylvania National Horse Show, one of the preeminent equestrian events in the United States. Riders must qualify to be accepted at this event which is the venue for 8 national championships. The Official Program is over 200 pages of vital information about the event and the competitors. 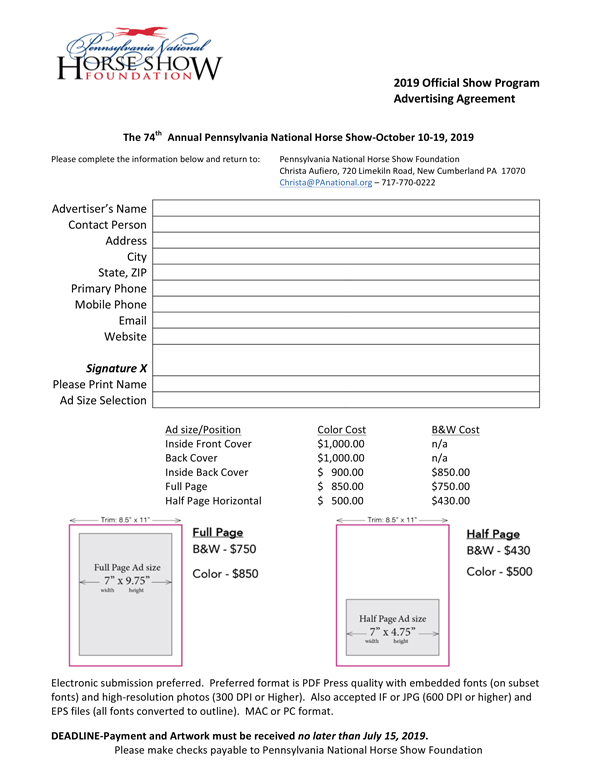 With detailed listings of previous winners and current competitors, the Program is a coveted keepsake for exhibitors and spectators.